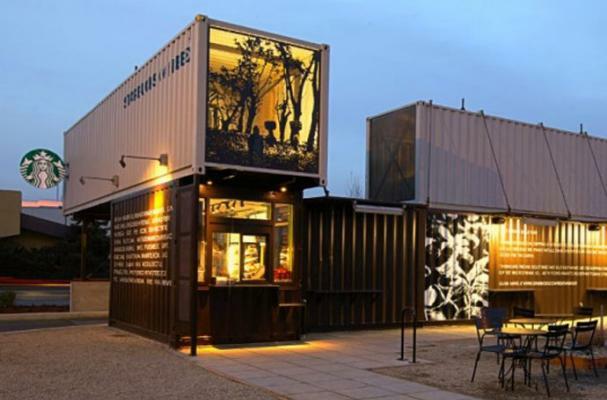 A Seattle Starbucks has managed to create an entirely new store using four shipping containers. The design is meant to showcase how Starbucks is reducing its carbon footprint. The shipping containers have been stacked and arranged to create a drive-thru coffeehouse. For more eco-chic designs, check out theDekalb Market. Wow I thought the Starbucks I worked at was tiny. Good on them for coming up with some creative ideas for their stores. At least the people that work there will never forget the time they worked in a shipping container.